Superior Benefits Over Live Foods: Specially developed for the needs of most carnivorous fish, without the potential for parasite or bacteria transfer common with live foods. Offers complete and balanced nutrition with higher levels of the vitamins and minerals your fish needs. An X-Large Pellet Big Fish Love: A porous pellet that softens quickly by rapidly absorbing water. 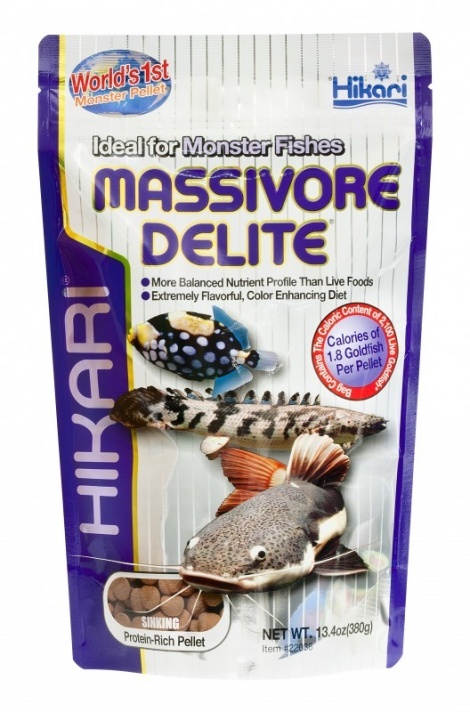 This nugget sized pellet will satisfy the hunger of your monster fish by retaining its shape. Best of all it will never cloud or negatively impact your pet's water. Natural Beauty They Desire: To promote the development of brilliant colours in fish who's natural environment is exposed to higher levels of UV from the sun, we include the highest grade of carotenoid we could develop through modern bio-technology. Now your fish can look as good as you expected them to, always! * Test goldfish were approximately 1.3g total body weight.